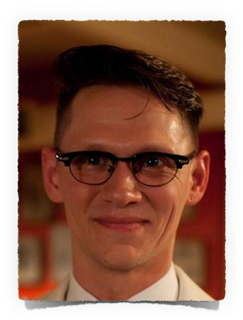 As many of my readers will know, July is the time when bartenders, brand owners and ambassadors, and all those connected to the drinks trade consider going to New Orleans for the Tales of the Cocktail. 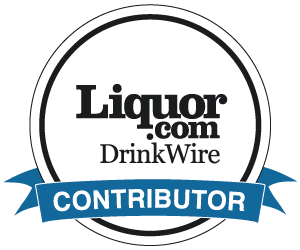 Absinthe has always been closely associated with New Orleans (the Sazerac and the Absinthe Frappé were invented there), and Tales of the Cocktail has been host to an increasing number of absinthe seminars and other events since 2007. Add all ingredients to a shaker. Shake rapidly with ice and double strain into an absinthe-rinsed coupette. Garnish with a slice of cucumber, add a small splash of soda and serve. 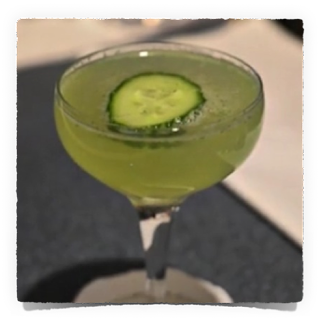 As Tom said, the inclusion of absinthe (at Tales it was served with La Clandestine Absinthe) makes this a more mature and more interesting alternative to the mojito and the daiquiri, the main drinks which helped inspire the Maid in Cuba. I enjoyed the Maid in Cuba at The Savoy a few weeks ago, and I enjoyed it even more at the end of our seminar. Normally I don't like too much mint in my cocktails, but the balance achieved by those batching this cocktails for over 100 seminar attendees was perfect. 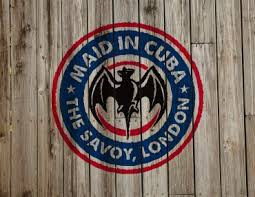 Although created initially for the Savoy, the Maid in Cuba seems to be taking on a life of its own, finding its way onto the menus of other bars in London, Scotland, Singapore, Israel very quickly, and, following Tales, Tom guest bar-tended in New York, serving it there too. Santé, New Orleans! Cheers and thanks to Erik and Tom!